A goal of Costumes & Cocktails is to heighten awareness and support lesser known non-profits in the St. Louis and Metro East areas. There are many non-profits that are doing their best to tackle some of our area’s greatest needs. They do it with compassion, focus and pure determination to make a difference. And many times, they accomplish their goals with little to no budget and no recognition for their success or effort. Costumes & Cocktails serves to shine a light on these small, but mighty non-profit organizations through the Charity of Choice platform. Each year, a different area non-profit is designated as the Costumes & Cocktails Charity of Choice. The Charity of Choice receives a portion of the proceeds from ticket sales, and is featured during the event to increase visibility to their cause and support their efforts. If you are a business and would like to learn more on how to support our Charity of Choice platform, please contact Arika Parr at Arika@AParrfectIdea.com. 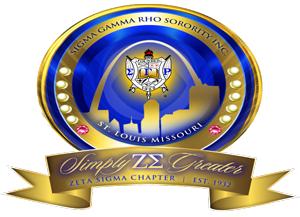 The Sigma Gamma Rho, Zeta Sigma Chapter is a community service based organization that is committed to education and provides scholarships to students annually. They execute Operation Big Book Bag to provide school supplies to students in need and hosts an Youth Symposium that provides college and career readiness workshops to middle and high school students. The Zeta Sigma Chapter also coordinates an annual Project Cradle Care and Health fair for moms in need while giving donations to the St. Louis Diaper Bank. 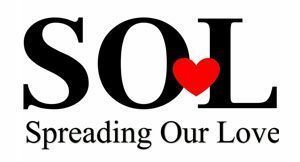 The SOL Foundation was founded by Melanie L. Norfleet in 2017. The Spreading Our Love concept was established 5 years ago, after Melanie observed the number of students in inner city schools who were going through the winter months without appropriate warm wear. SOL's goal is to provide students in the St. Louis community with warm wear items as well as other necessities. 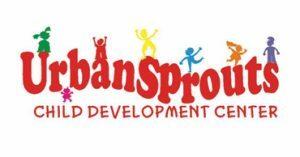 Ellicia Qualls and the entire staff of Urban Sprouts Child Development center take early childhood education seriously. I love how they help strengthen every child's creativity while allowing them to be uniquely individual. I am an advocate for anyone striving to help our youth. Tony Thompson and his wife founded the Kwame Foundation to support youth and give them resources they may otherwise have access and I appreciate their efforts.